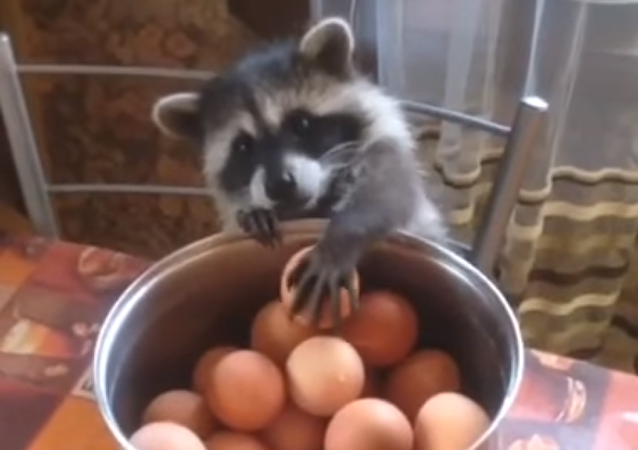 This adorable raccoon with cute bunny ears uses its main superpower – tiny, but dexterous hands. This cunning animal has no need to beg people for treats and sweets, as it can take everything it wants wih no help. Sleight of hand and no fraud at all! Raccoons are born resembling the masked bandits of the animal kingdom, and generally have a tough time living down the reputation; they have been known to forage at camp sites. This fellow may have been invited to the dinner table, but has a difficult time grabbing a boiled egg. Some animals only look harmless and defenceless in order to get more food and attention – and racoons are definitely on the top of that list of twisted little critters. They might give people puppy eyes, but they’re basically like cats with hands – which means they can be really dangerous! Some animals are always ready for action and full of energy, while others are not so bright-eyed and bushy-tailed, and prefer to lie down and sleep for a while after a good and eventful mealtime. In the coastal town of Boca Raton, a local caught an battle to the death between a raccoon and an iguana. A raccoon is usually a very active and restless animal, requiring constant attention, but this Raccoon seems to be different. 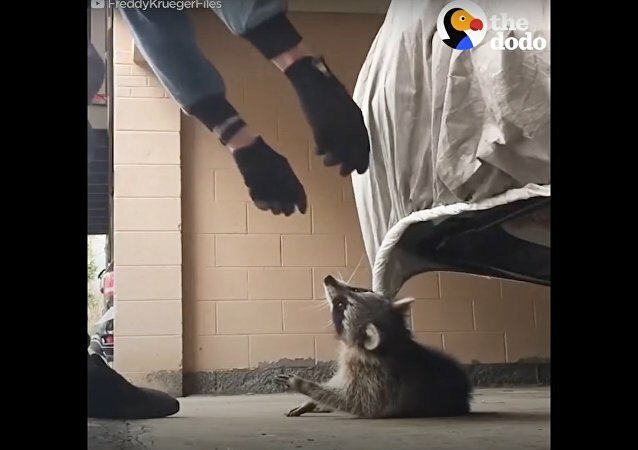 A video showing Texas police trying to catch a raccoon that broke into a police station is gaining popularity on the Internet. While nature is harsh, it can also be beautiful and animals are often extremely tough. 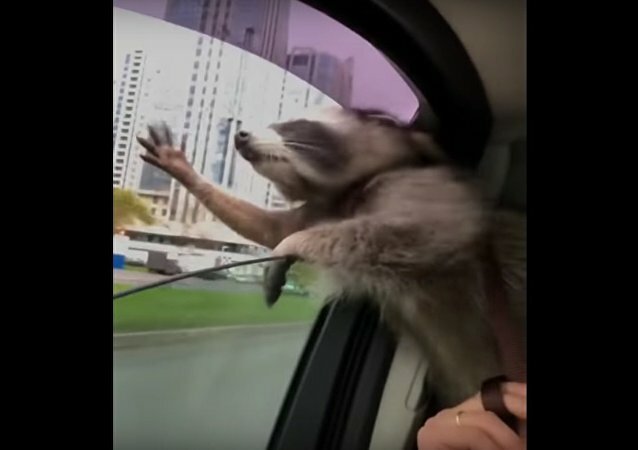 An Internet user in Florida has filmed a mother raccoon that was more than determined to protect her children from the keen interest of a bobcat. 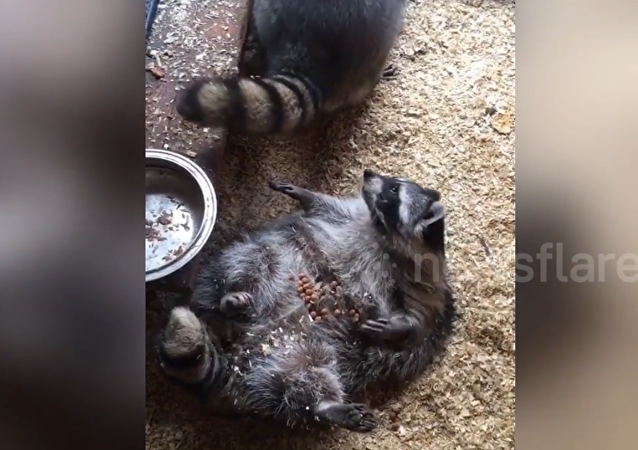 In the house of one of the residents of the US city of Sheridan, Michigan, a female raccoon and her five babies literally fell through the ceiling. A cat in one of the zoos in the Russian city of Vladivostok temporarily took care of three newborn baby raccoons; the zoo posted a video of the happy foster mother in its Instagram account. 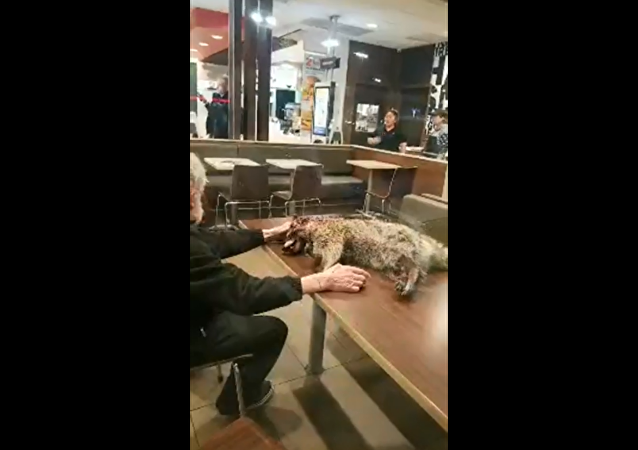 This poor animal became tangled in a man’s car tarp and was choking to death, but the vehicle owner arrived in the nick of time to find the helpless creature and saved it.